It would appear that there will be no Heritage Council community grants in 2019 (https://www.heritagecouncil.ie/news/news-features/working-with-communiti...). This isn't good enough as local communities throughout Ireland now have no specific heritage funding source. Faic, mar a deirfá! Years ago I used to teach on a post-leaving cert heritage course in Cork city. We taught that Cultural Heritage has tangible and intangible elements. And that the tangible elements consist of built heritage and natural heritage. While we separated these elements they are all interconnected and potentially susceptible to damage. The Dept of Culture, Heritage and the Gaeltacht are asking the public to engage with a consultation process (closing date 28 February 2019) to develop a National Heritage Plan and the relevant information can be found here. 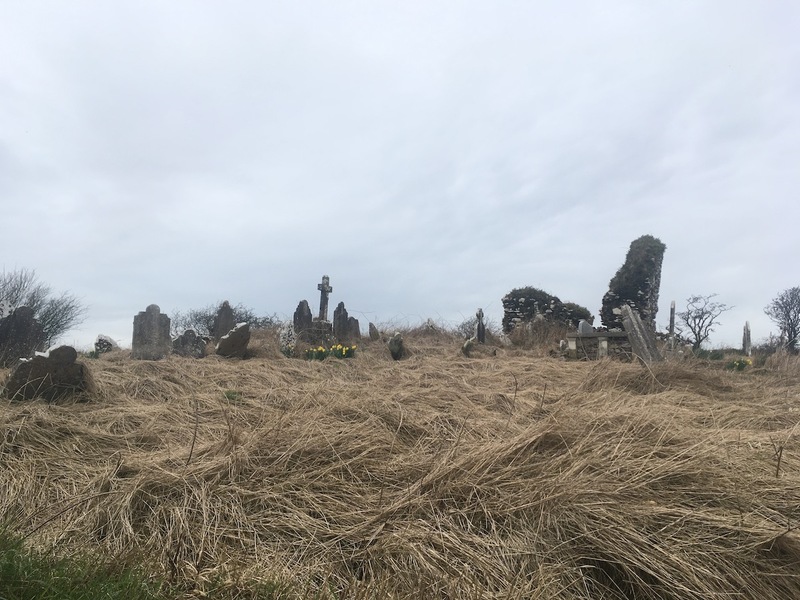 When we started this project we wanted to survey four graveyards in West Waterford. Eight years later, in cooperation with hundreds of rural communities we have surveyed over 500 graveyards and have published epitaphs listing almost 200,000 people. Do a google search for "mass grave Ireland" and Tuam comes up, top of the list. The phrase mass grave is used descriptively and emotionally. There's a chamber with multiple bodies in it. There are serious questions about the numbers of bodies and the decency with which the children & babies were treated in life and death. Our society prizes decent treatment of our dead, regardless of status - at least we say we do. This post starts and finishes with two different stories by two different women. One woman was having trouble getting pregnant - she already had a few children - it just wasn't taking this time, until she went to her doctor for a chat. Talking to the doctor, who was a caring, kind, experienced woman, she came away more relaxed about the process. A month later it took. If you've ever flown into or out of Cork airport you may have flown over Killingley graveyard. This is one of those Cork graveyards situated on the side of a slope. It is rural but with strong links to the city and pride of place within the graveyard falls to the headstone for the Rev. Florence McCarthy (d 1805). The Romans never really came to Ireland. They didn't really sail across the Irish Sea and bonk us on the head and kill all the chieftains and build roads and walls and towns and such. Graveyards are about slowing down. For those of us left behind when somebody dies, they are gone, but we're still here! Doing the shopping, getting the children to school, buying a niece's birthday present to post to Scotland, ringing the insurance company; working. We do a million things. But when we go to visit the grave we slow down. How do you revive a graveyard? First thing is diagnose what is wrong with it.